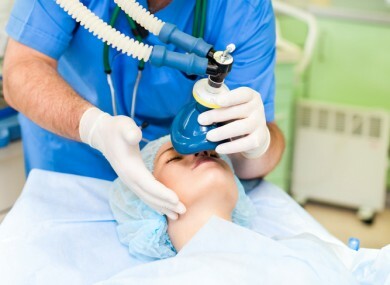 “Children who received general anesthesia for surgery before age 4 had diminished language comprehension, lower IQ and decreased gray matter density in posterior regions of their brain, according to a new study in the journal Pediatrics. …Loepke and his research colleagues have published previous studies showing widespread cell death, permanent deletion of neurons and neurocognitive impairment in laboratory rats and mice after exposure to general anesthesia. Those studies have raised concerns about similar effects in young children during a particularly sensitive neurodevelopmental period in early life, which researchers say could interfere with the refinement of neuronal networks and lead to long-term functional abnormalities. …Although data in the current study highlight the need to look for improved methods of administering anesthesia, Loepke and his colleagues emphasize that current methods are very safe. Loepke advises parents who are concerned to discuss with their pediatrician and surgeon the risks of a surgical procedure — and the potential risk of anesthetic exposure — versus the risks of not having a surgery. General anesthesia sometimes play an important role in dental treatment of kids: the nervous child, or when multiple treatment needs to be carried out in multiple quadrants of the mouth, or when treating life-threatening dental infections (which thankfully, does not happen too often). However, taking account the above research, dentists do have a duty of care in discerning cases in which general anesthesia is unavoidable. In cases where it is avoidable, treatment under local anesthetic should be given priority. A possible scenario might include multiple visits for a child to a dental surgery to allow the child to “acclimatize” before treatment can be carried out. The child is given time to get use to the clinical environment, possibly also building a rapport with the staff and the dentist. Easy treatments such as scale and clean should be carried out first, and slowly building to more complex treatments such as fillings with each visit. The downside is the multiple visits to the dentist before major treatment can be carried out, which takes up both the time off school and time off work for the parents.